On 20th December I have posted “Espreson Is Designing A WordPress Theme“. 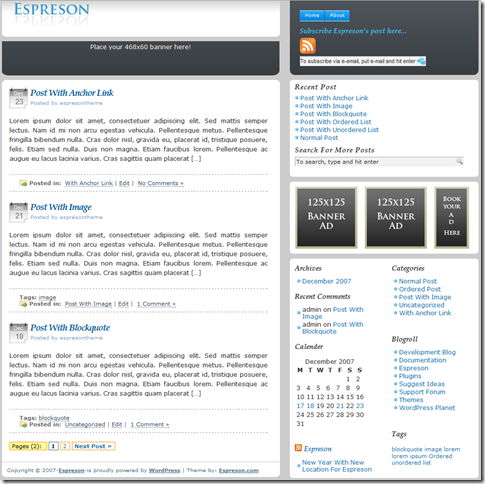 Now, this 1st January Espreson.com is going to launch its first WordPress theme, named Espreson. So, here is the screenshot of Espreson.